Use your own switches with the Simply Works range! This 6 channel wireless transmitter takes up to six wired switches and enables them to operate with any of our wireless receivers, to work computer software or control toys. Automatically sets up switch functions for you when used with it-Receive and supplied software. It’s easy to get started with this great value bundle. 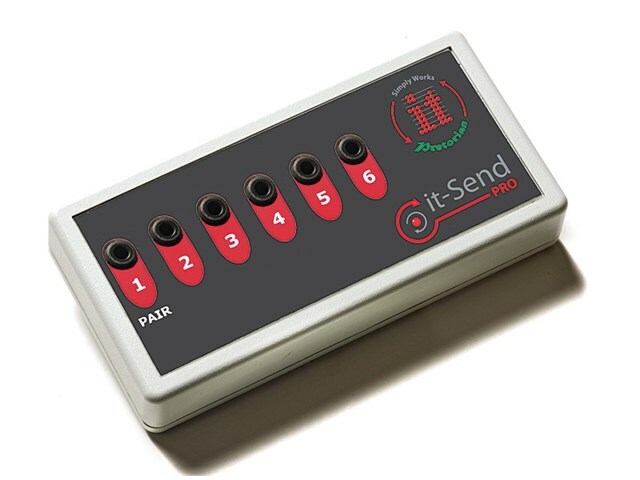 Buy the it-Send Pro and it-Receive for only £99.